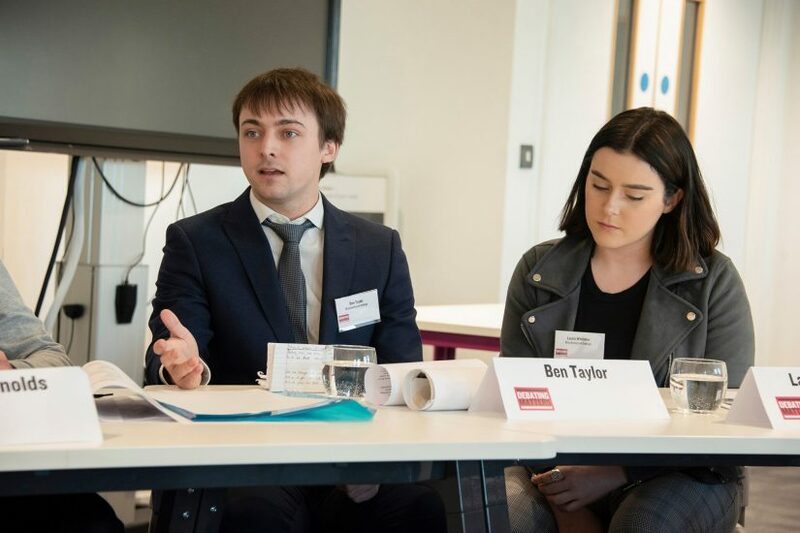 A group of Brockenhurst College students battled it out against other sixth forms from the South in a debating competition held at Solent University recently. 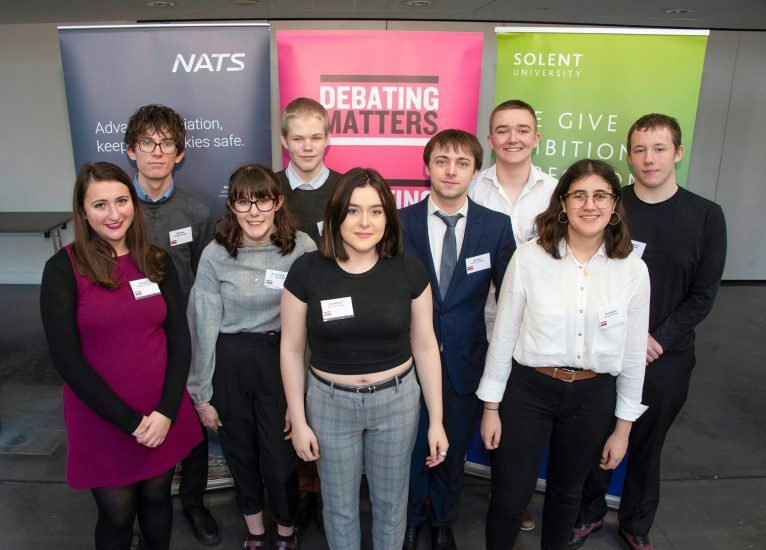 The event was organised by Debating Matters in partnership with National Air Traffic Services and saw teams pitted against each other in several rounds of debating. The Brock team of nine, who all participate in the College’s Debating Enrichment programme, debated important topics such as whether technology will solve society’s environmental issues and whether tourism really benefits the world. The group performed well and won a round against King Edward VI School, gaining two student commendations for 21-year old Ben Taylor and 17-year-old Florencia Atria, who also picked up a prize. Joy Bailey who runs the College’s Debating Enrichment programme said: “I was really proud of the team’s ability to watch, adapt and learn. They were energetic and totally engaged in the long day of many debating rounds. 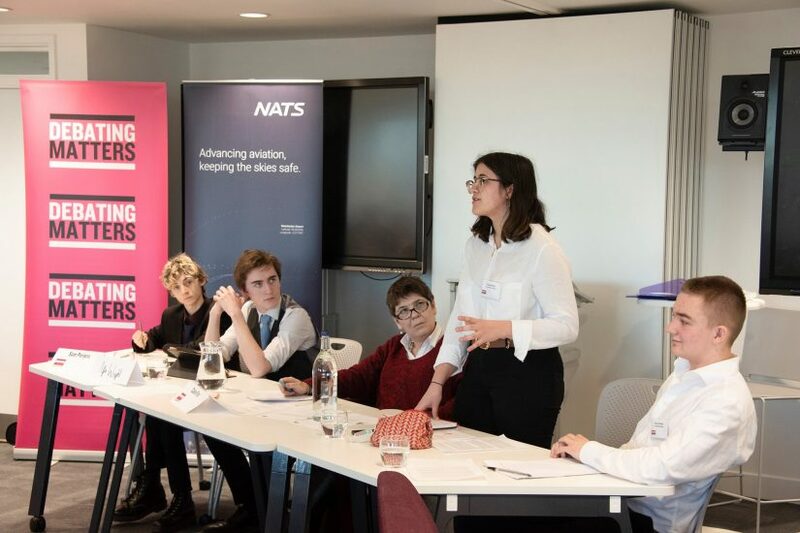 “Debating skills are core to subjects such as Politics and History and taking part in such an event helps students develop presentation skills, knowledge, confidence and quick thinking,” she added.